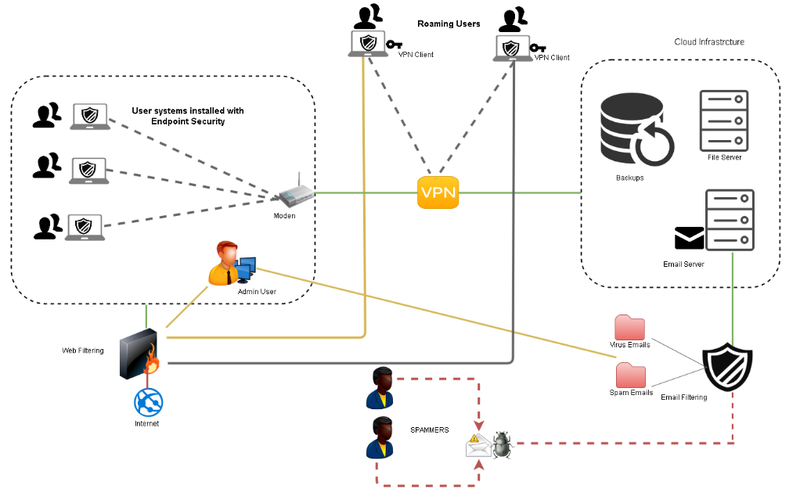 How does a traditional office network works? In traditional we may have a centralized server in our office. Each computers in the network may be connected to the server. Users may be saving their files on to the server periodically. If the infrastructure is well maintained, you may have proper backups that can be used in case of PC/Server crash. Everyone uses cloud services partially or completely. In traditional way in an office. For example you may be saving your important data to a remote server which part of a cloud service. You may be saving your data such as images, videos and other files to google drive or Microsoft One drive. These are all cloud services. Cloud services have lot of advantages compared to traditional servers or infrastructure.Since everything in your office becomes centralized, you have the flexibility to work in an easier way. Cloud is accessible as long as you have an active internet connection. Users will be working on their local computer, using emails, using internet etc. We will attach a cloud drive to their PC and this will act as a backup or working folder. Our cloud architecture will keep backup this folder and you do not have to worry about data loss. 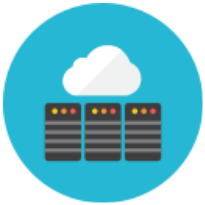 We can configure your system so that all your data such as office files, images, vidoes, emails will be saved directly to the cloud drive or sync your local drive with cloud drive. Let’s assume there are few roaming users and they wanted to access the data from anywhere. Well in this case the cloud base infrastructure is the best option. Similarly think you are at home and you wanted to see few files which are updated file your staff. In cloud you have the option to access those files from your home PC through a secure channel. Users will be accessing the data over SSL/VPN and that makes the data security stronger. No none can access the data without two factor authenticating. We define security and policies based on your requirements.. This is one of the very important features of cloud. In traditional way if you need to upgrade a server you need to buy the hardware components. This may be for a permanent purpose or for temporary purpose. This is time consuming task and expensive as well. When it comes to cloud you can scale up and down based on your requirements without any complication. Cloud provided on demand scaling options. Unlike traditional infrastructure downtime is very less in cloud. The advantage is we can easily start a new server with in minutes and that can take responsibility of a failed server. Let’s say you have an existing infrastructure and we are going to lift this to cloud. Your company uses an email service from a provider who provides Standard POP3/SMTP Service. I assume that your users login to their computer using active directory service. We add cloud the services, One Cloud File Server, One cloud mail server, Cloud based endpoint security for PC and emails. Configured new AD server on cloud and made it as secondary DNS. Please let us know your current infrastructre. We will study and give you the best solution.